I’ve been playing Madden 13 occasionally since it came out a couple weeks ago, and one of the cool aspects of it has nothing to do with football. 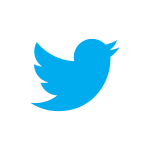 There’s a lot of social media integrated into the game — especially Twitter. This is when I first started my Career mode. 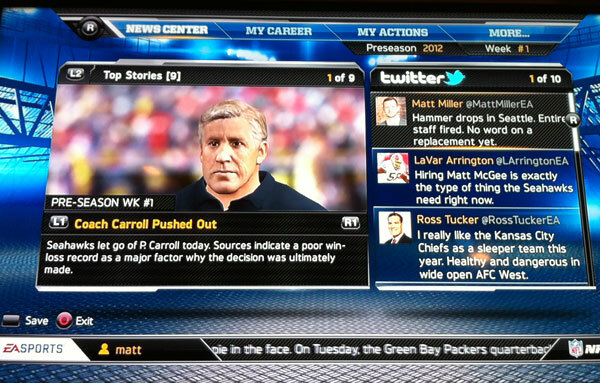 I assigned myself to be the coach of the Seahawks, so the big news that first week was about Pete Carroll getting fired. And you can see the (fake) Twitter commentary to the side there. 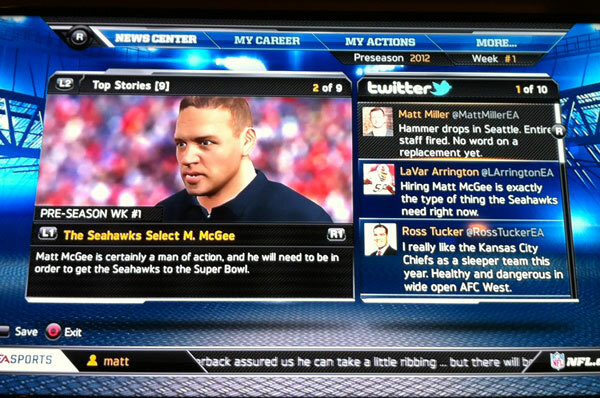 And then the next story that week was about me becoming the new Seahawks coach, and that showed the same fake Twitter commentary. Those are actual Twitter accounts, by the way — see @MattMillerEA. But it spells out that it’s a virtual account associated with Madden, not the guy’s actual account. Anyway, pretty interesting Twitter exposure here, I thought. Not earth-shattering in terms of the game itself, but still interesting to see the integration.